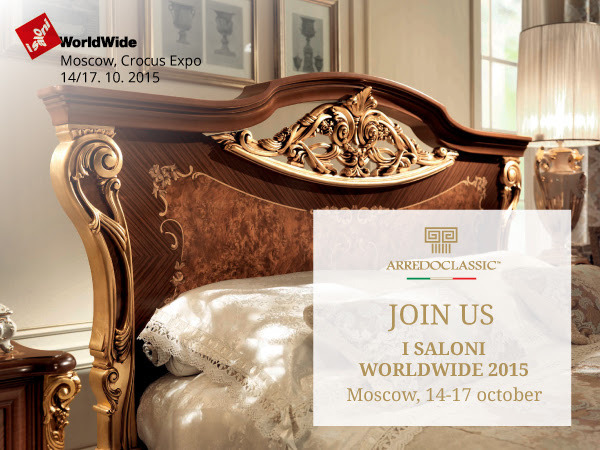 Good news from Crocus Moscow! We want to thank all of the participants that attended at our stand at "I Saloni Worldwide". The Collections we presented exclusively for Crocus visitors have obtained high appreciation by the public: we received a lot of favorable comments and feedbacks and we enjoyed our customers' positive sentiment about our products. Despite the light reduction of visitors compared to the previous years, mainly due to economic crisis and double depreciation, our forecast for Russian and Eastern European market remain growing. I Saloni Worldwide has been a wonderful opportunity to establish new contacts and strengthen relationship with our long-standing customers. We hope that you will keep in contact with us further on.